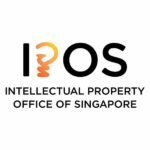 To support the growth of Singapore’s Fintech sector and help businesses bring their FinTech innovations to the market more rapidly, the Intellectual Property Office of Singapore (IPOS) has launched a new FinTech Fast Track initiative which provides expedited patent application-to-grant process for FinTech inventions. 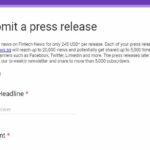 Under this initiative, FinTech patents can be expected to be granted in as quickly as six months, compared to at least two years for normal applications. 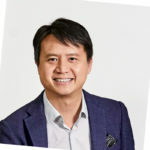 In line with the industry transformation map for financial services and to advance the Republic’s Smart Nation agenda, IPOS’ FinTech Fast Track initiative looks to encourage innovative FinTech enterprises and start-ups to develop solutions to meet the surging demand for FinTech solutions in ASEAN, as well as operate effectively within the ambit of Singapore’s well developed financial infrastructure and supportive regulatory policies. This new initiative was announced by Ms Low Yen Ling, Senior Parliamentary Secretary for Ministry of Trade and Industry and Ministry of Education, at the 2018 World Intellectual Property Day Event held in April which saw more than 200 participants from the creative and innovation community gather to celebrate World IP Day alongside 191 member states across the world. A global leader in FinTech, Singapore alongside London, is the top-ranked FinTech hub in the world according to a Deloitte study of 44 hubs across the globe. 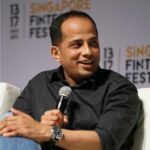 The FinTech Fast Track initiative will complement the Monetary Authority of Singapore’s S$225 million Financial Sector Technology and Innovation (FSTI) funding scheme which is designed to boost FinTech development in Singapore. 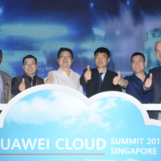 “Singapore is a place where great ideas from anywhere in the world can be commercialised. By significantly reducing the time needed for grant of a FinTech patent, our innovative enterprises will be able to compete effectively through their intellectual property and use these intellectual assets to scale up and enter the world’s market. “In an industry where time-to-market is critical, the expedited process for FinTech patents will enable businesses to commercialize their products and services more quickly. Details on FinTech Fast Track are available on Circular No. 3/2018 and in ANNEX A.